With an ear fine-tuned to the needs around and beyond us, Sisters of Saint Joseph of Chambé﻿ry undertake every good work as we share God's love with all people and with the whole of Creation. Challenged by the world, we are open to new ways to serve God's people. The roads and ministries are as varied and unique as the women in our community. We're always looking for others to join us, heart and hand, as we respond to the adventures ahead. 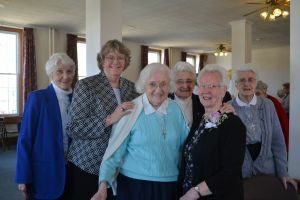 From the East Coast to the West Coast — you can find Sisters of St. Joseph of Chambé﻿ry engaged in the fields of spiritual care, education, social services, health care, business administration and care of our own members — to name a few. Our individual and community ministries address the needs we discover among God’s people and provide opportunity for sharing the gifts, skills, and talents of our members. Click on the links to the upper left to learn more about some of the CSJ ministries. In June 2006, Sacred Heart Academy in Stamford, CT, closed. The Academy, a private catholic high school for women, was founded and staffed by the Sisters of St. Joseph for more than 80 years. Sacred Heart Academy continues to assist former students as transitions take place to other institutions of higher learning. 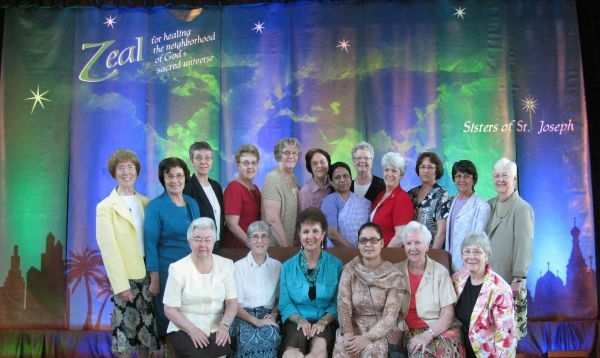 At the same time, the Sacred Heart Alumnae Association remains an active part of the Stamford, CT, civic community.